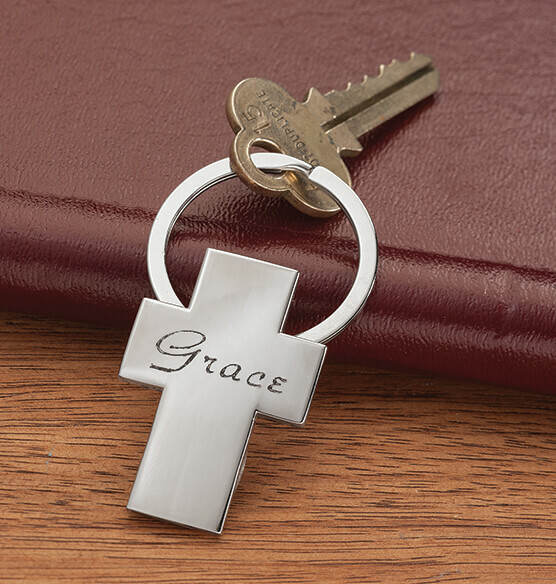 Carry this simply inspirational Personalized Cross Key Ring for peace of mind on the go. 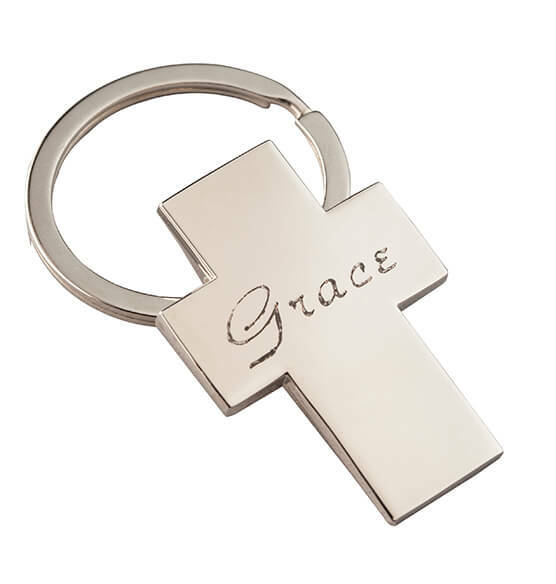 Sleek silvertone cross keychain features a mirrored finish perfect for personalizing. This custom keychain makes a thoughtful gift for someone you love. Specify name: 1 line, up to 10 letters/spaces. 1 1/8" W x 1 5/8" H. Nickel-plated zinc. Wipe clean with damp cloth.